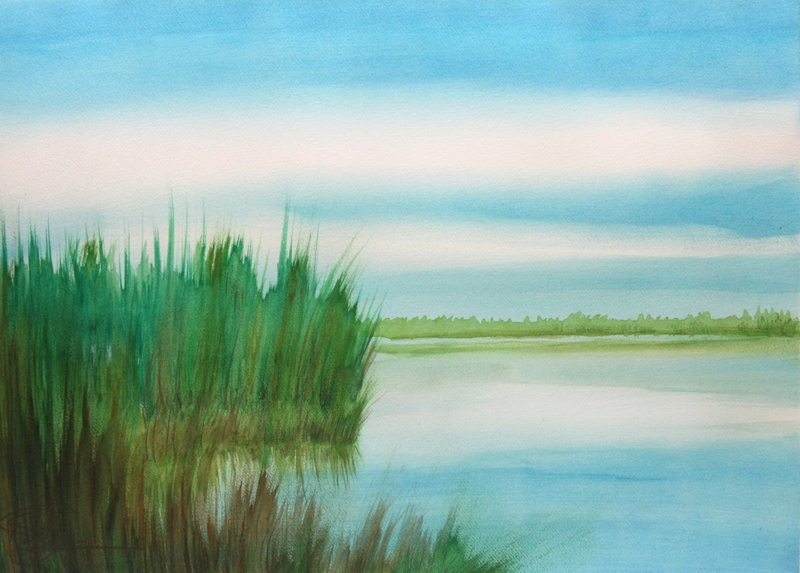 This series is a play of watercolor to paint the ethereal essence of water. There is beautiful connection between the sky and the water, the reflection glows on the water in soft flowing strokes. While the landscape, which is like a hardscape contrasts and moves you through the painting from back to front, and side to side. There is a freshness that shows spring and the vibrant nature of a northern lake.